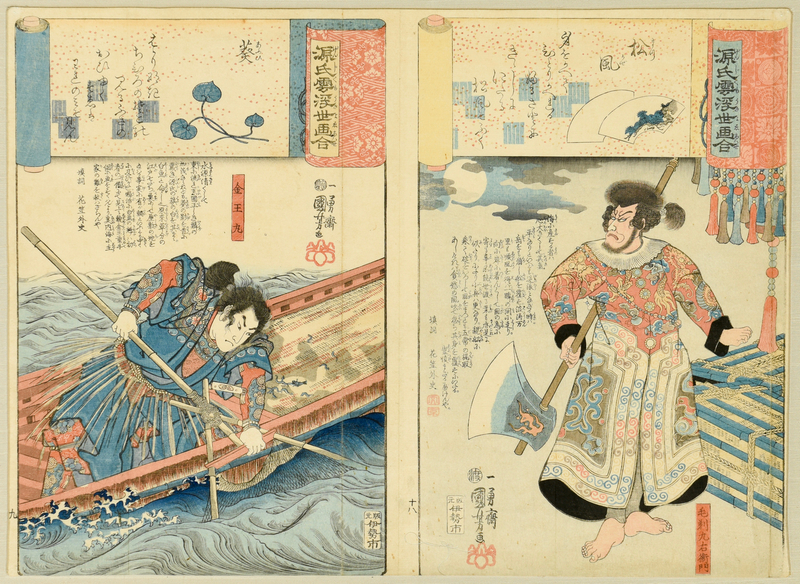 Two (2) Japanese Woodblock prints by Kuniyoshi Utagawa (Japan, 17971861) from the series: “Ukiyo-e Comparison of the Cloudy Chapters of Genji”, printed 1845-6 and published by Iseya Ichibei. 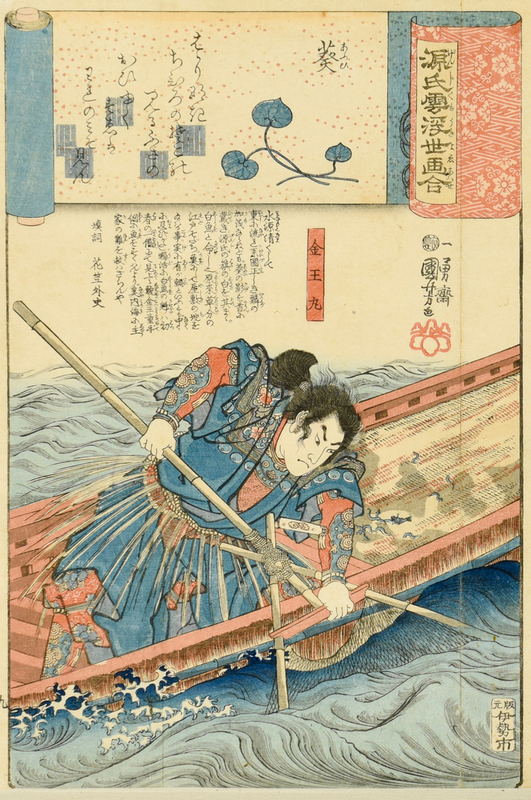 1st item: Woodblock print titled “Aoi, No. 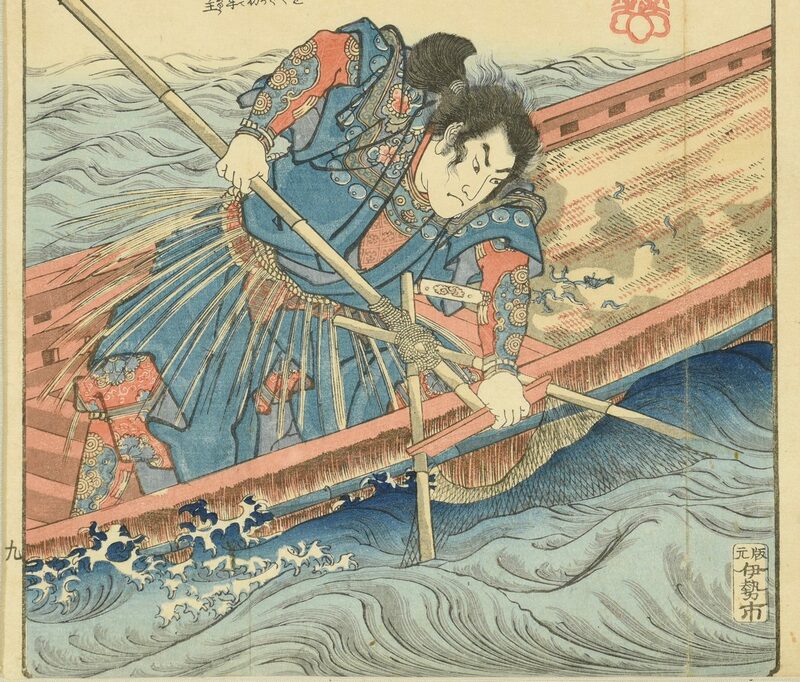 9 Heart vine, showing Kaneo Maru fishing” in which a scene from the 9th chapter is illustrated, poem inscribed above. 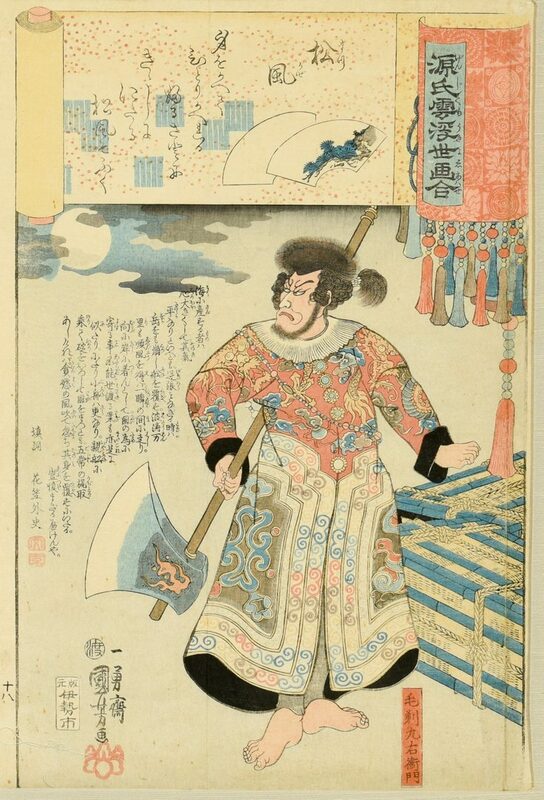 Numerous seals and inscriptions across the top and lower right of the print indicate artist’s name, publisher’s name, etc. 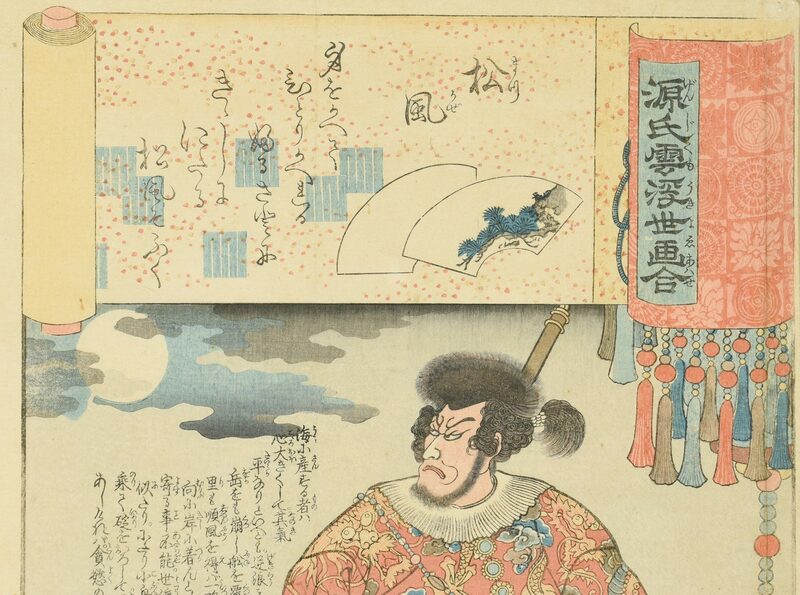 2nd item: Woodblock print titled “Matsukaze, No. 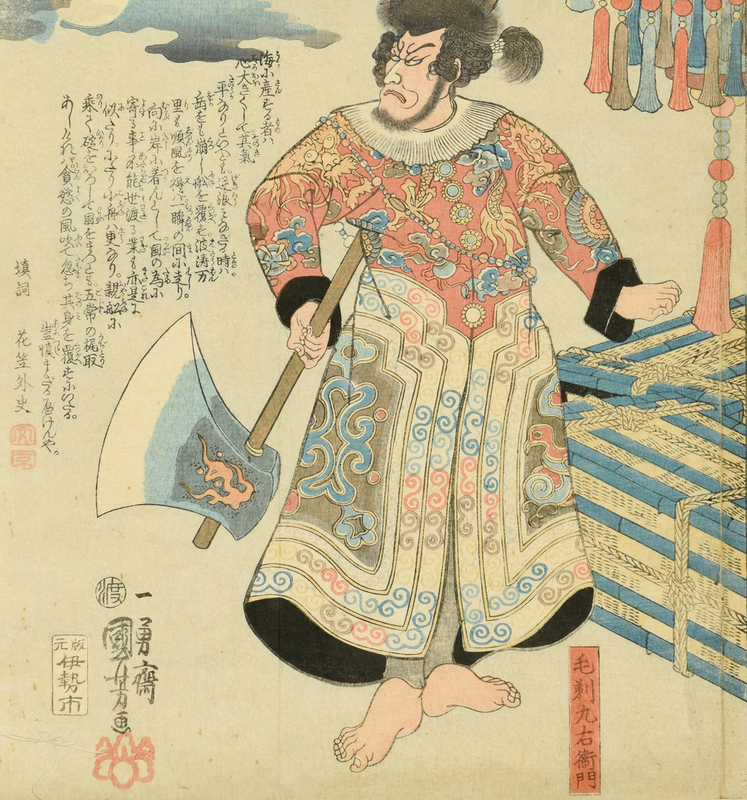 18 Wind in the Pines, The kabuki actor Ichikawa Danjuro VII as the pirate Kezori Kuemon standing beside bound wooden boxes, grasping a huge ax in the moonlight” in which a scene from the 18th chapter is illustrated, poem inscribed above. 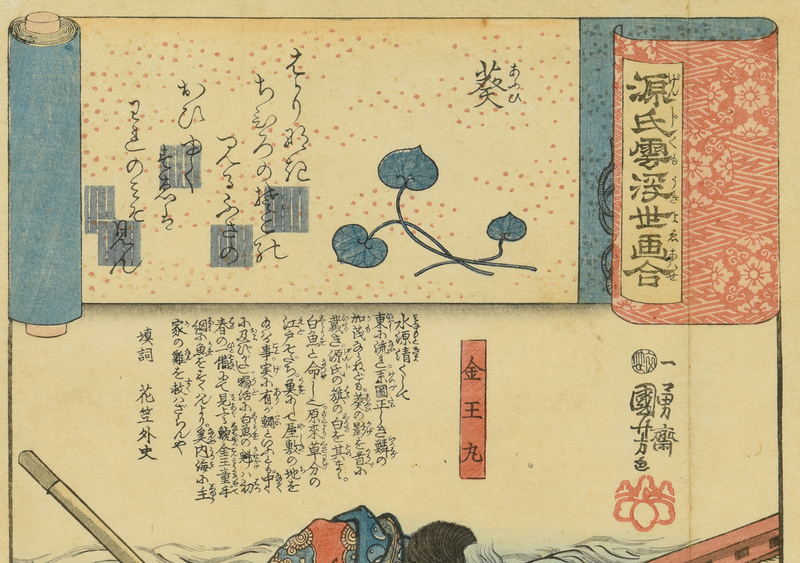 Numerous seals and inscriptions across the top and lower left and right of the print indicate artist’s name, publisher’s name, etc. 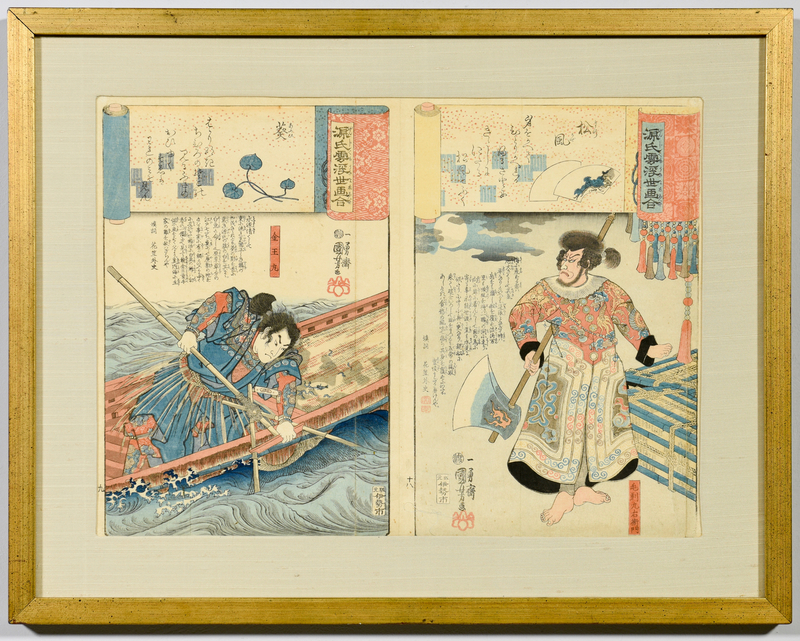 Both prints housed in a giltwood frame. Sight – 14 1/8″ H x 19 1/8″ W. Framed – 19 3/4″ H x 25″ W. CONDITION: Overall excellent condition. Loose fiber under frame lower center from matte.